Add peas, mint, and sugar to saucepan and cover with water. 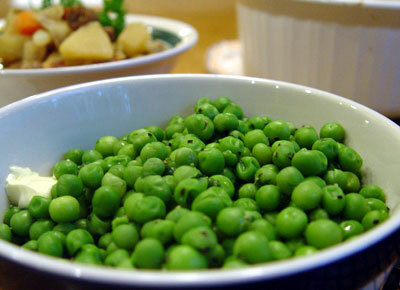 Bring to boil and cook 5 to 7 minutes, until peas are tender; drain. Stir in butter, salt, and pepper. Serve immediately.